Rather enjoyed this juice and will buy again. The cinnamon flavour is slight but present, and enjoyable. If you enjoy the regular pop deeze, this is definite must try. I wonder if it could be fined tuned a little ? a touch more cinnamon or a pinch of icing found on actual cinnabuns ? This juice is amazing !! My favorite -PopDeez with a little cinnamon roll ! Definitely not over powering on the cinnamon ! Just the perfect amount ! 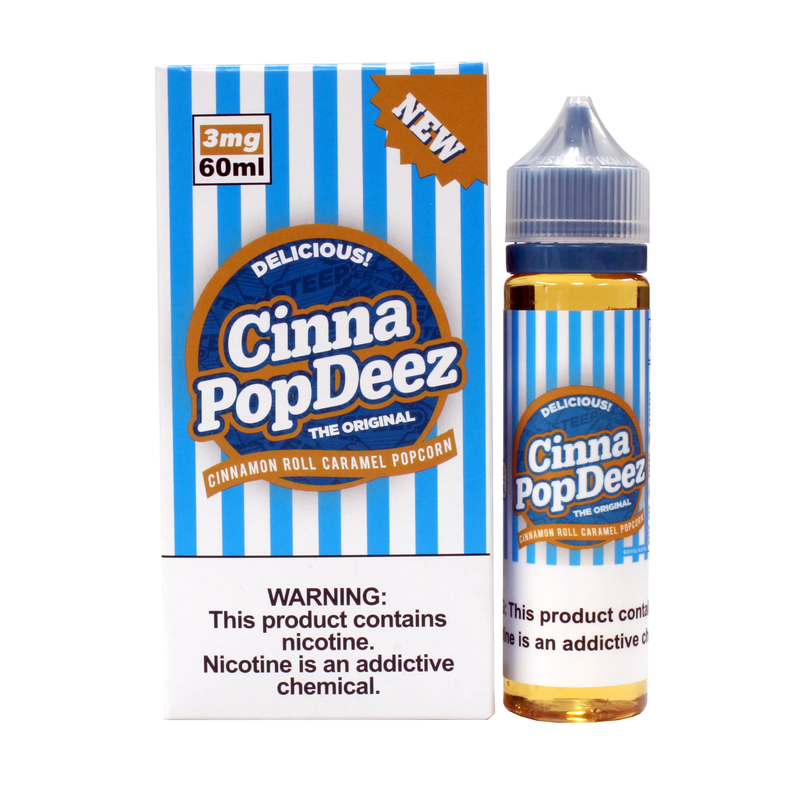 I ALWAYS vape PopDeez and when I don't then I vape CinnaPopDeez !! Thank you Steep Vapors for the 2 most AMAZING ejuices ever ! In most of my reviews I state that most of the flavors are just too overpowering. Usually it's because they're trying to make a flavor that is similar to something like cereal or something that requires a lot of different flavors. When you add a lot of flavors together then you need to add a lot of sweetener. And what happens is that juice becomes un-vapable very quickly. That's because it's hitting you in the face just way too hard. Although I wish this particular juice had about half of the sweetener, I do like it very much. I could see myself ordering this again.